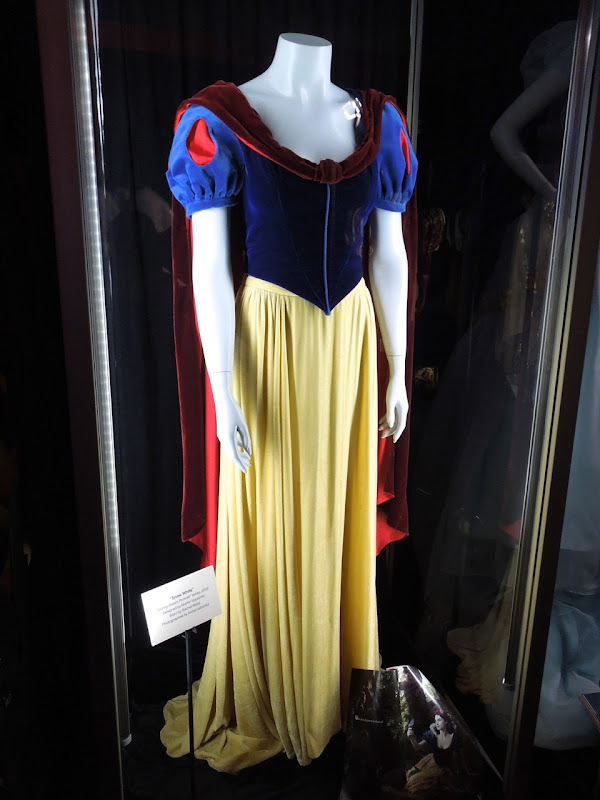 This next collection of costumes may not be from a particular movie, but they are inspired by classic cinematic Disney film characters. 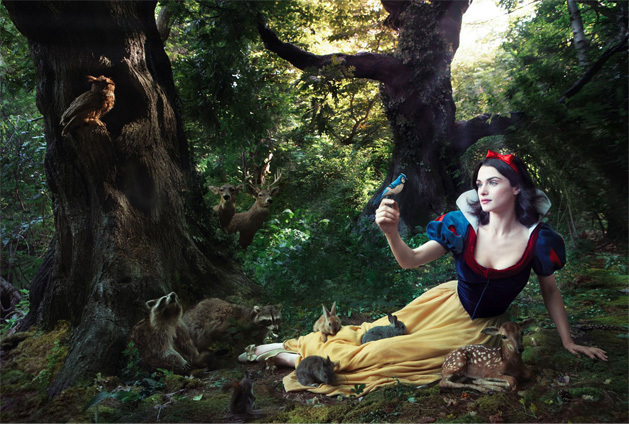 Photographed on display at the Treasures of the Walt Disney Archives on July 17, 2012, these fairytale outfits were used in the Disney Dream Portraits series by legendary photographer Annie Leibovitz, which feature iconic celebrities as famous Disney characters for Disney Parks ongoing advertising campaign. 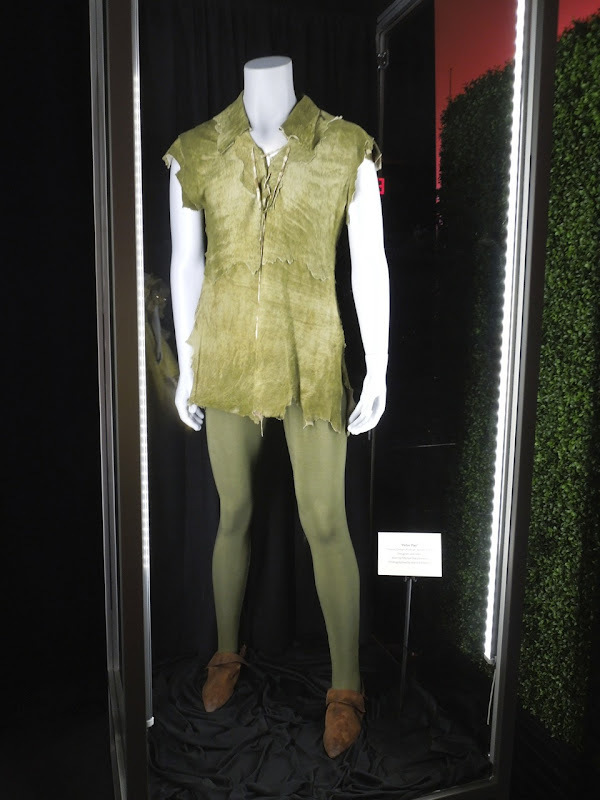 The Peter Pan creative featured model Gisele Bündchen as 'Wendy', renowned ballet dancer Mikhail Baryshnikov as 'Peter Pan' and funny lady Tina Fey as the diminutive 'Tinker Bell'. 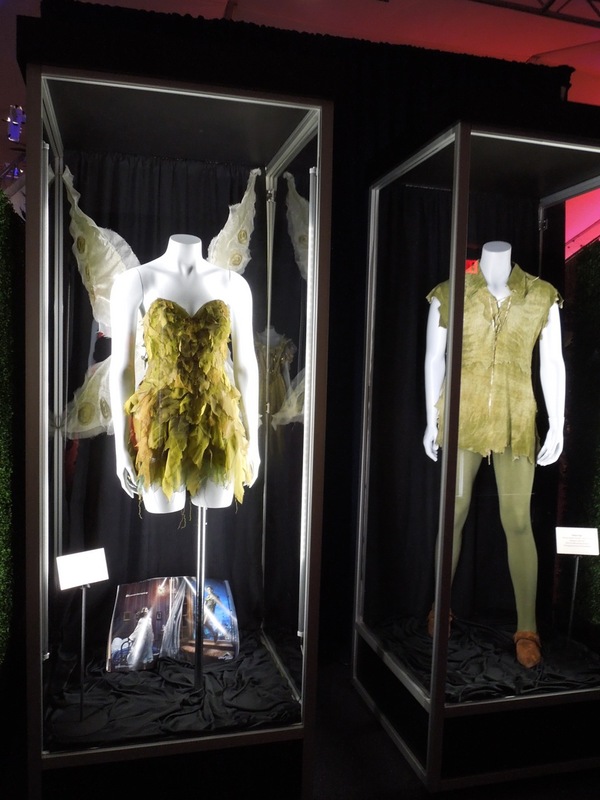 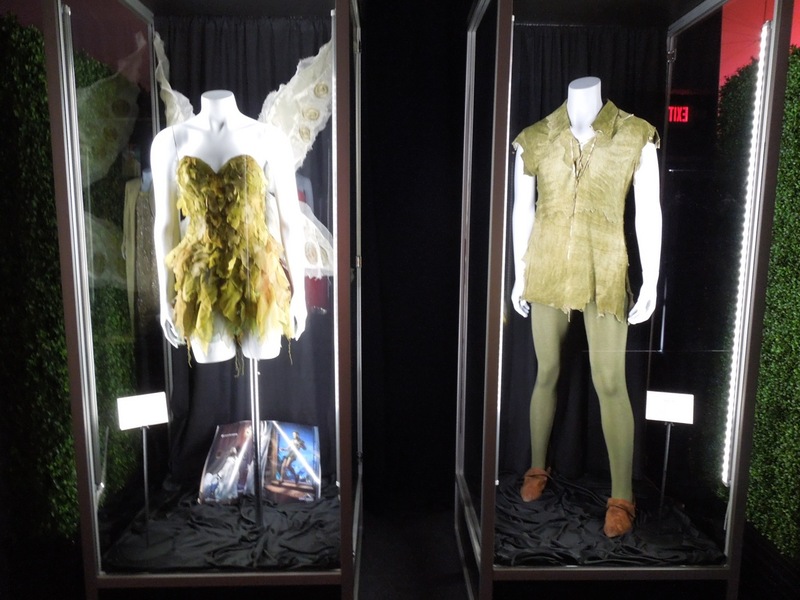 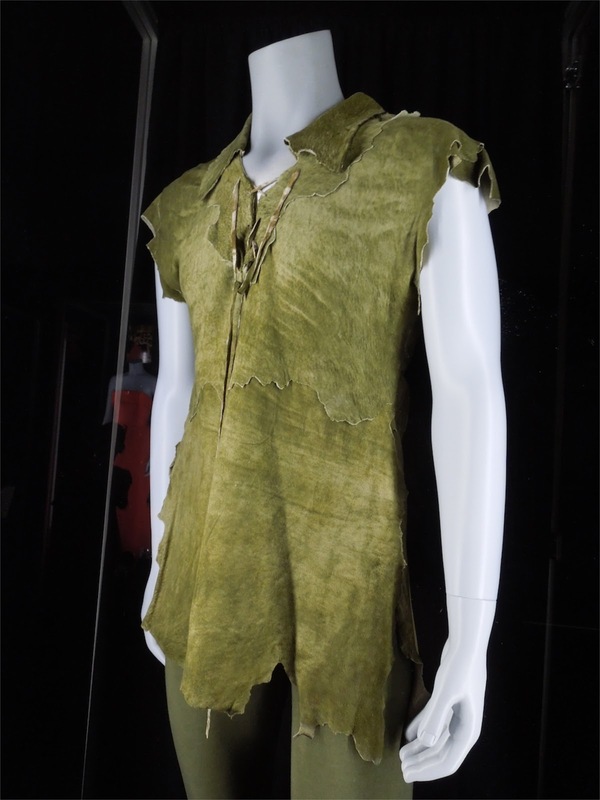 Unfortunately the exhibit doesn't give details of who the Costume Designer of these Peter Pan inspired outfits was. 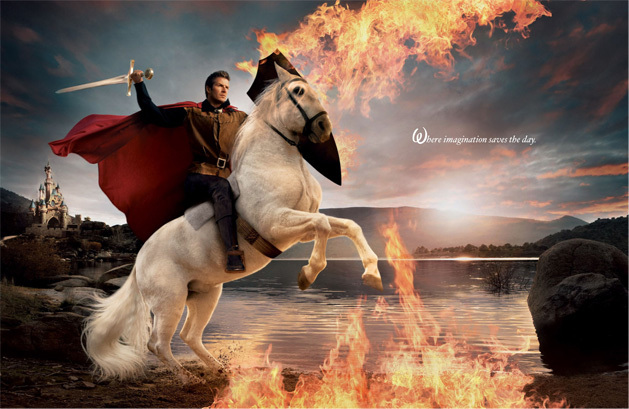 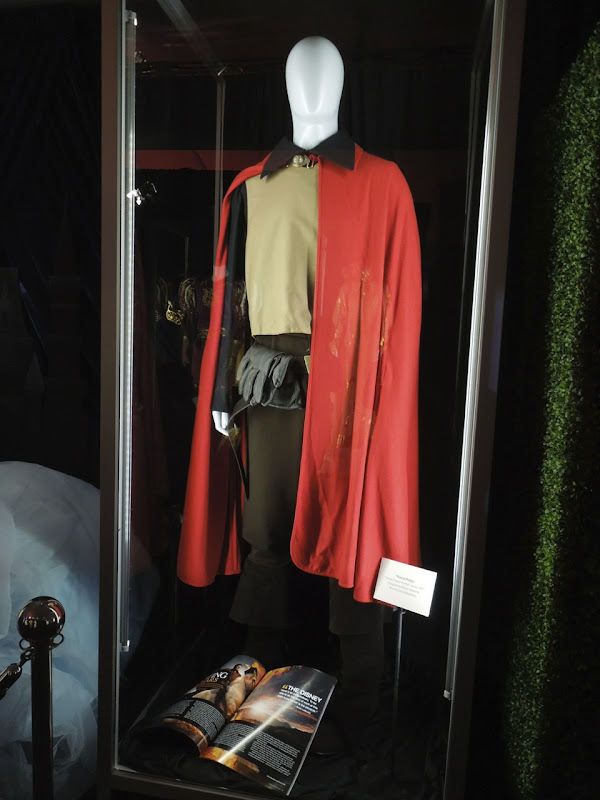 International soccer player David Beckham's 'Prince Philip' costume, inspired by Disney's Sleeping Beauty, was designed by Martin Izquierdo. 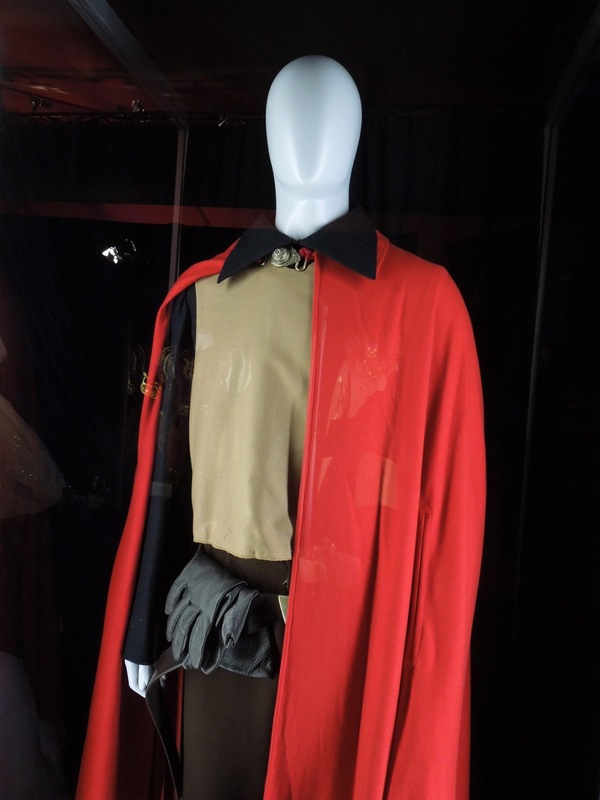 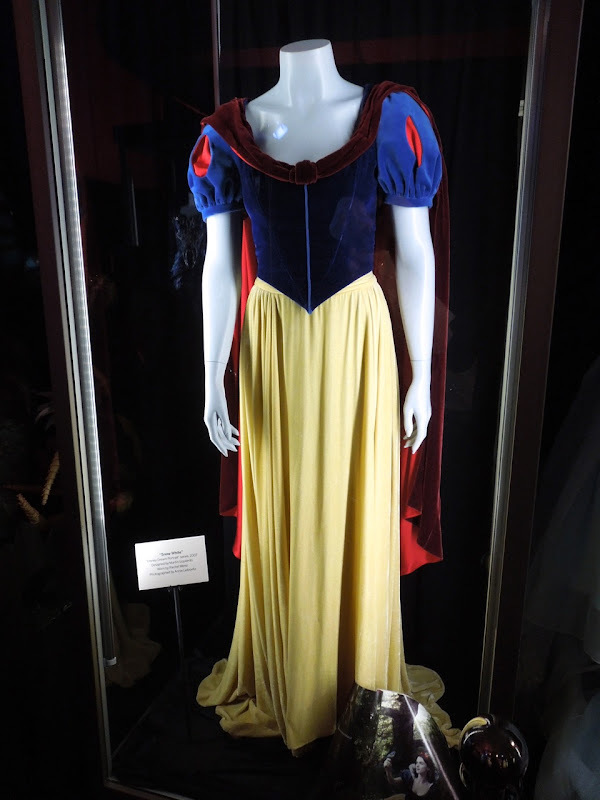 Actress Rachel Weisz played 'Snow White' in this woodland scene in this very familiar costume. 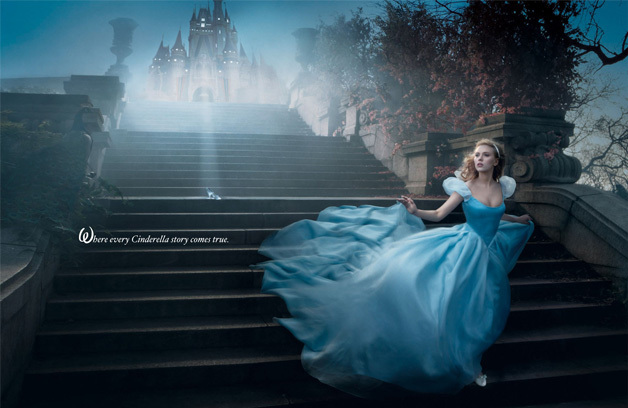 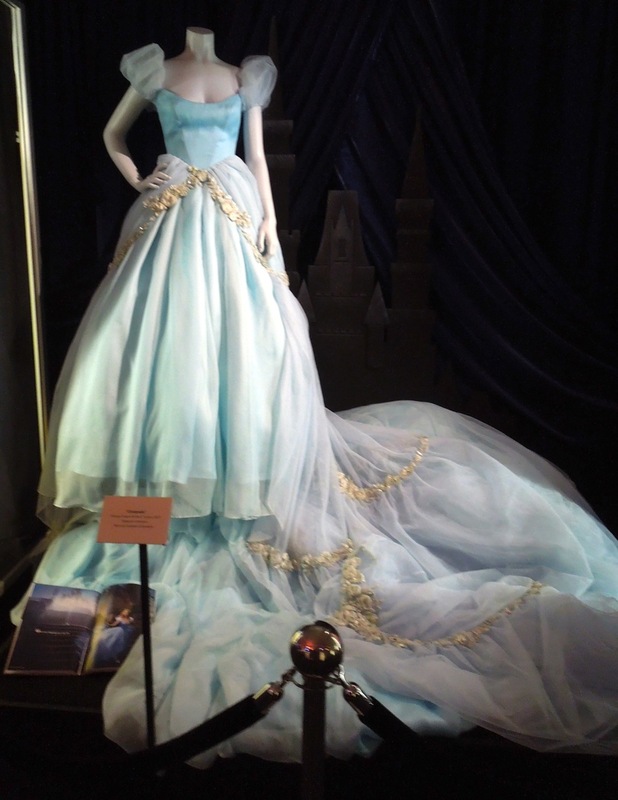 Hollywood starlet Scarlett Johansson wore this gown as the fairytale rags-to-riches Disney princess 'Cinderella'. 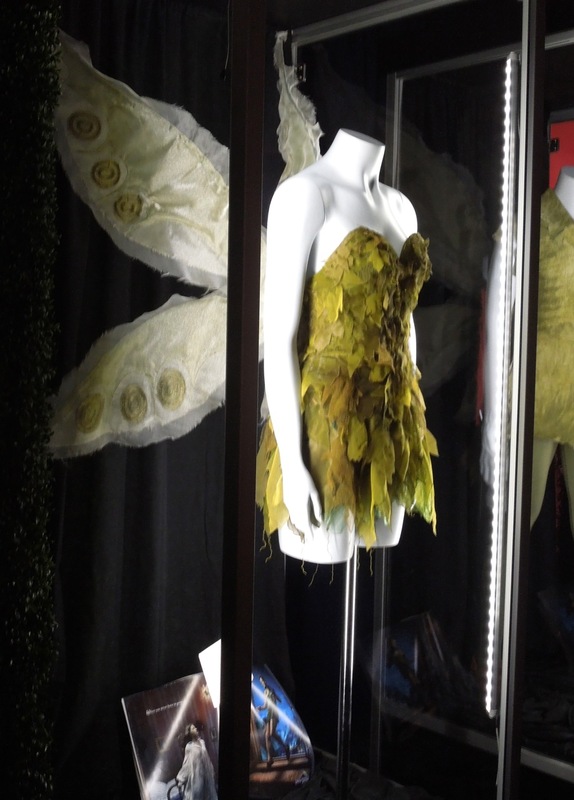 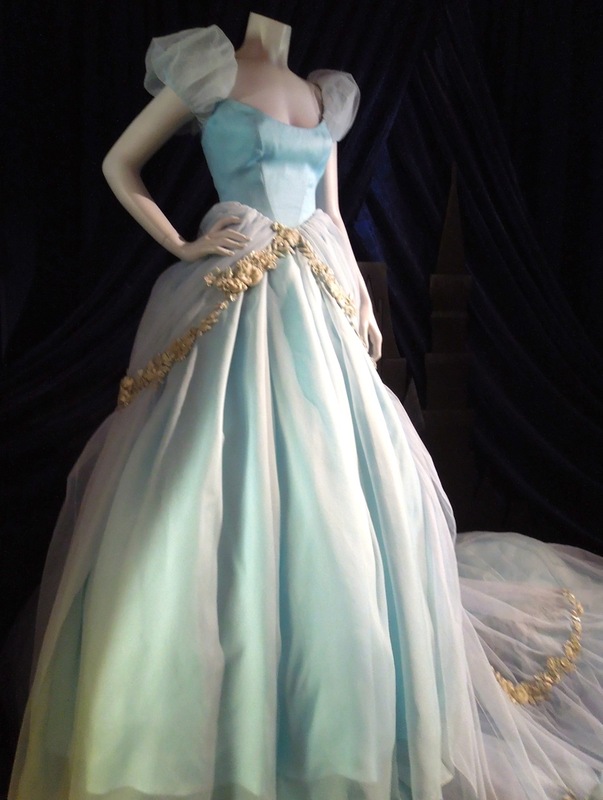 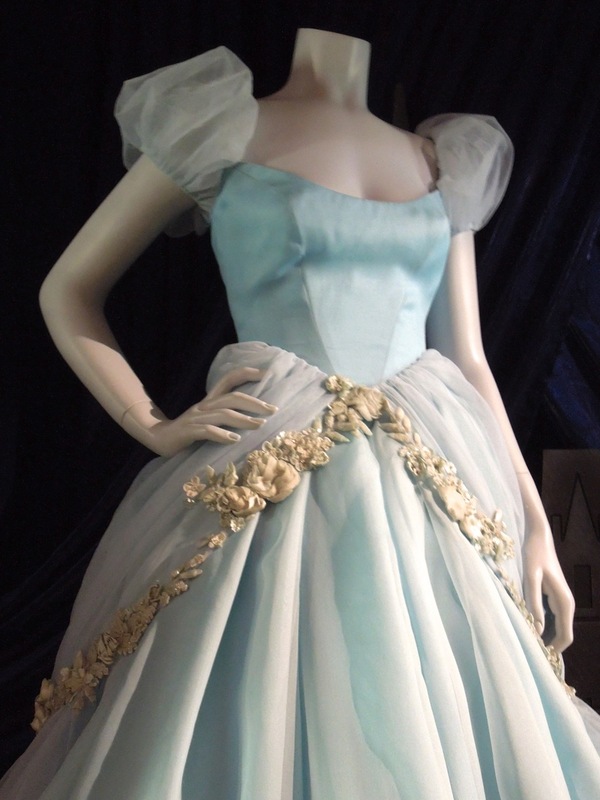 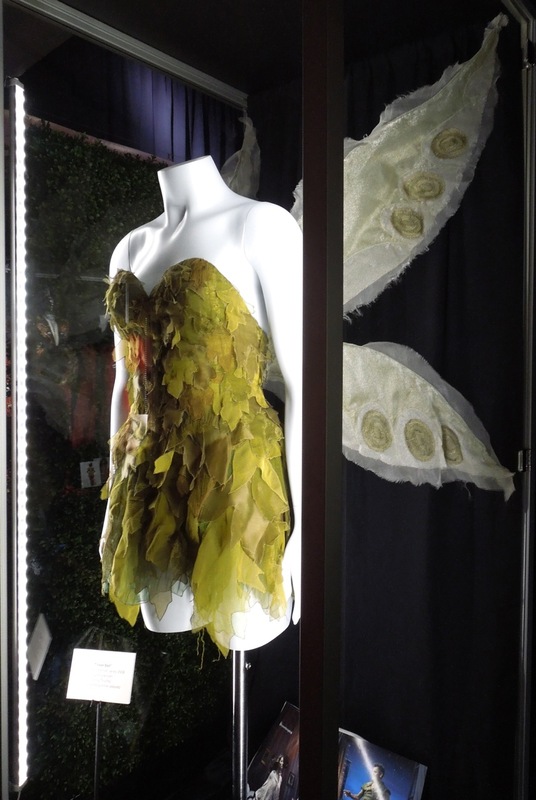 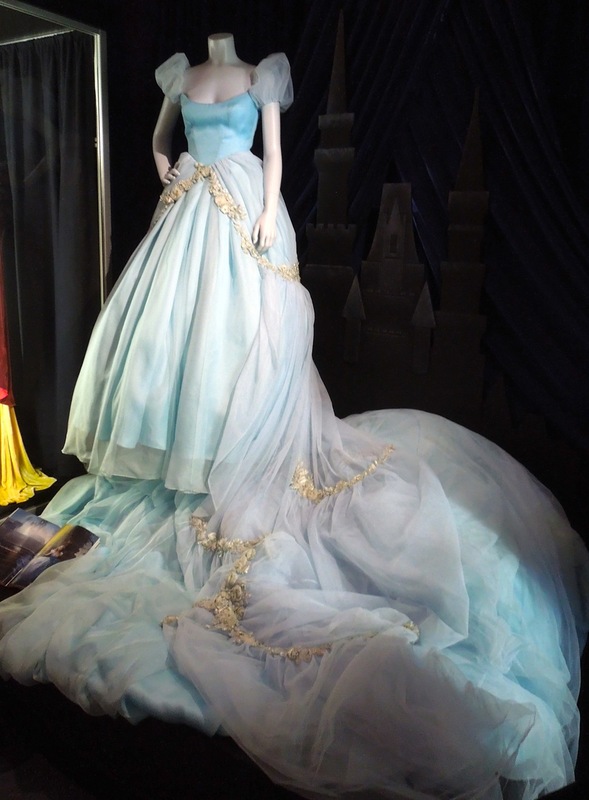 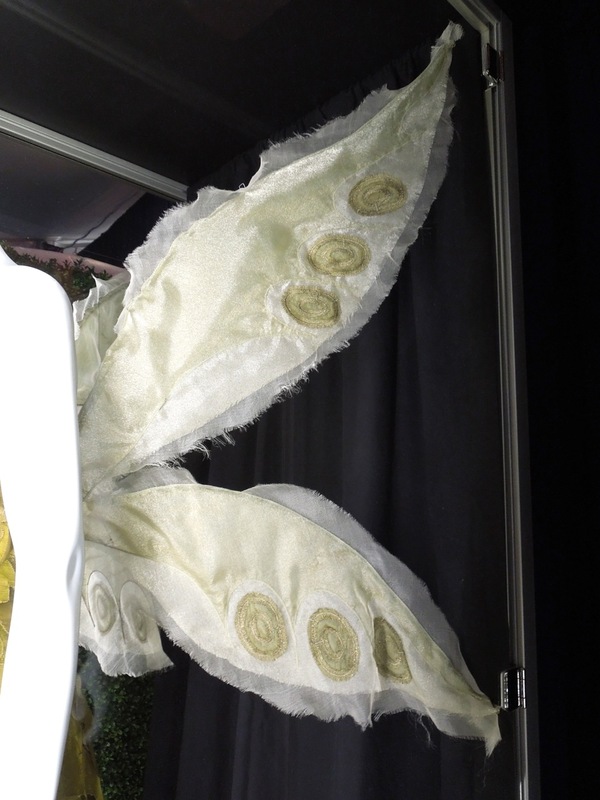 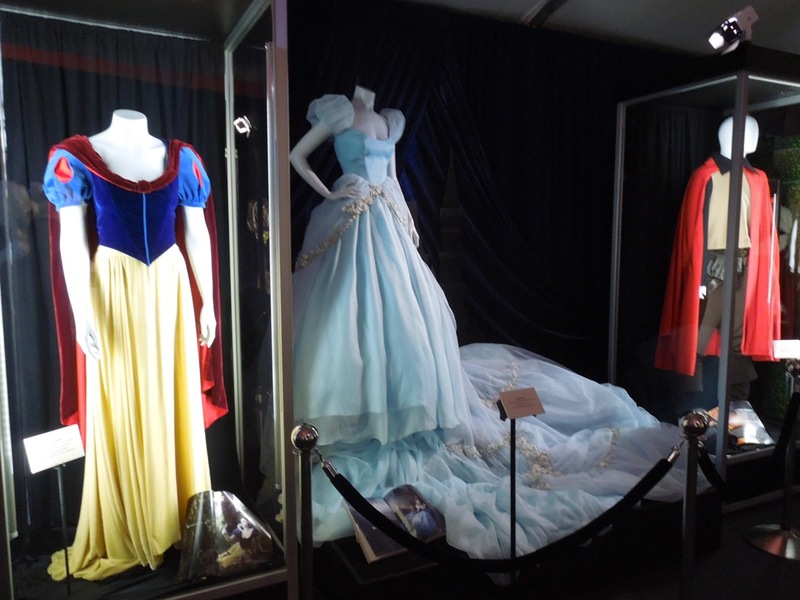 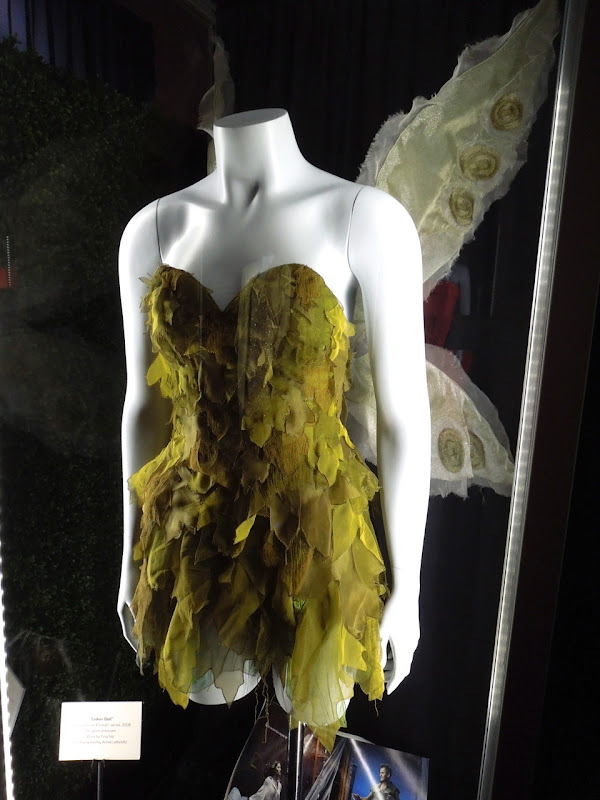 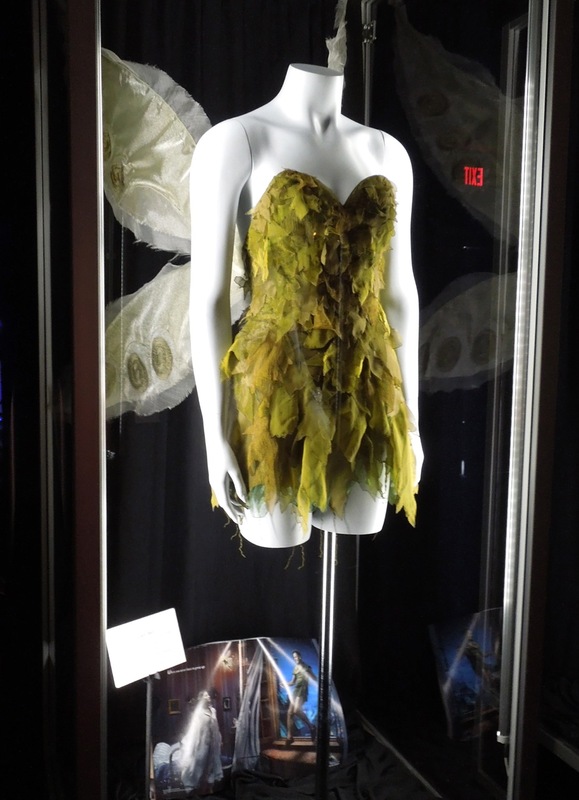 If you like this fabulous dress, be sure to also check out Amy Adams Giselle gown from Enchanted, plus check out more costume and prop delights from the Treasures of the Walt Disney Archives exhibit at The Reagan Library in Simi Valley.